Kat Ellis grew up in Rhyl,North Wales and studied English with Creative Writing at Manchester Metropolitan University. Her short story, 'Underground', is featured in the Primed anthology (2013), and her short story, 'Glimmer', received a high commendation in the 2012 Bristol Short Story Prize. She is an active blogger and amateur photographer. When not writing, you'll usually find Kat up to no good on Twitter, playing badminton like a ninja, or watching scary films with her husband and feral cat. She speaks Welsh fluently and French badly. 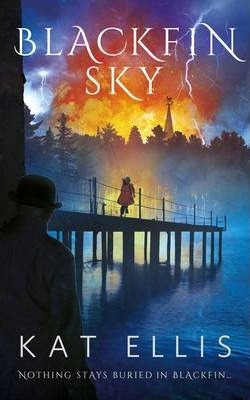 Blackfin Sky is her first published novel.